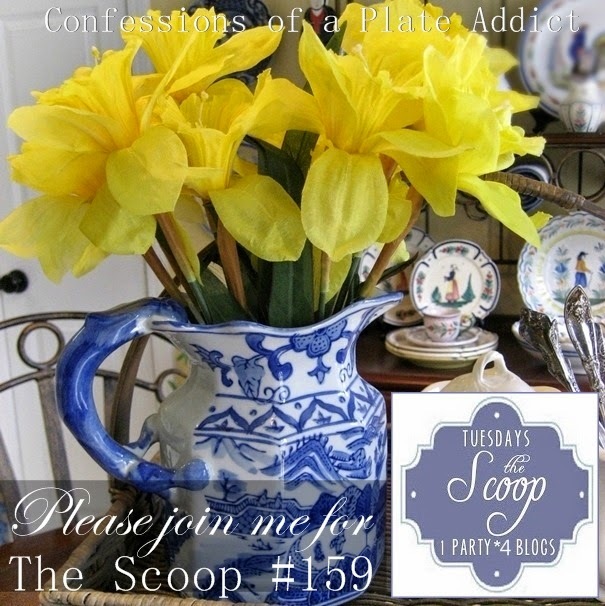 Hi everyone and welcome to the 159th edition of The Scoop! 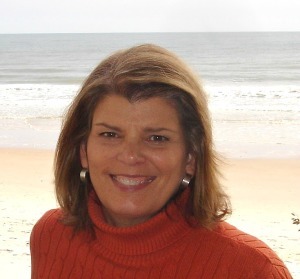 We are so excited to have you as our weekly guests, both to share and to be inspired! After all, it wouldn't be a party without our guests! Have you realized that spring is officially less than a month away? Even though we have had single digit temperatures and ice storms here in Georgia, I am beginning to bring a little bit of spring into my home. 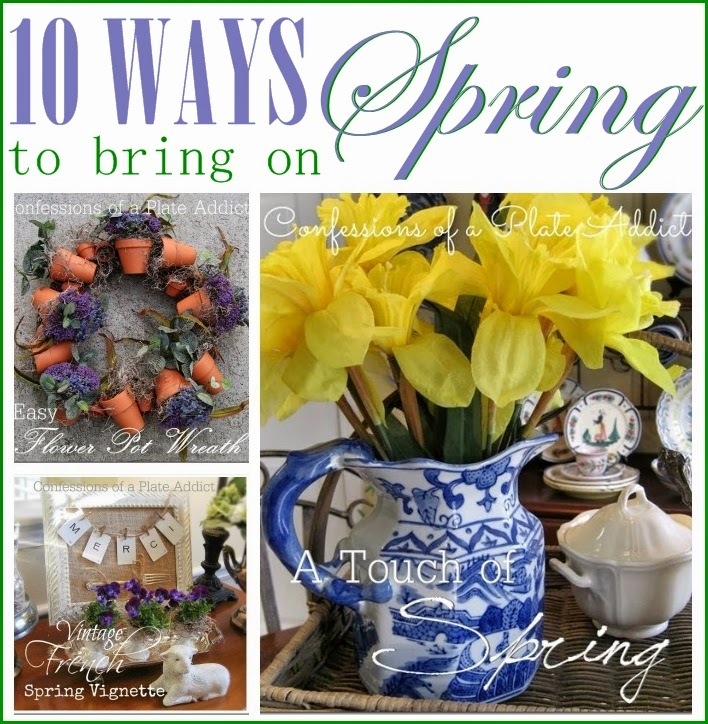 I have shared ten ways you can bring in spring as well! Be sure to check them out here. And I am always excited when it's time for our monthly share from my Country French design group and this time the subject is our choice! 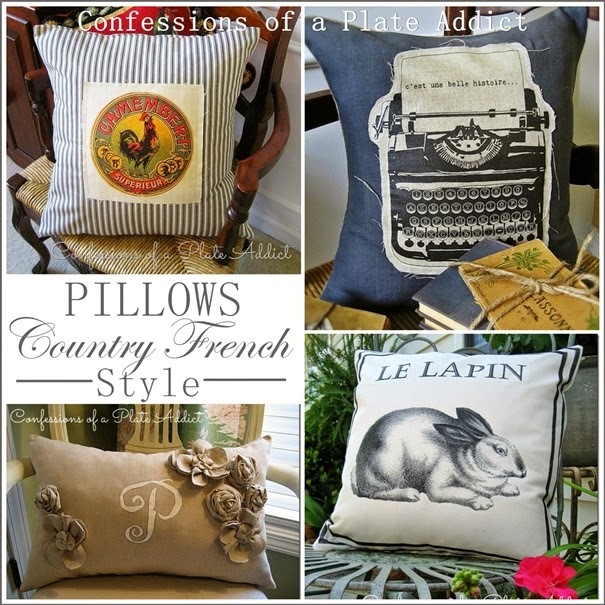 If you know me, you will not be surprised that I chose pillows...Country French style! I am sharing my top ten favorites which, as always, include any graphics that you will need free of charge in the tutorials! Boy, I sure am glad to have this past weather week behind us! Here in North Carolina, we haven't suffered through this winter nearly as much as some of you, but the record-breaking cold temps were tough. I hope that the month of March is much kinder to us all! I've tucked away the few winter decorations that I had out and have already started freshening things up for spring. 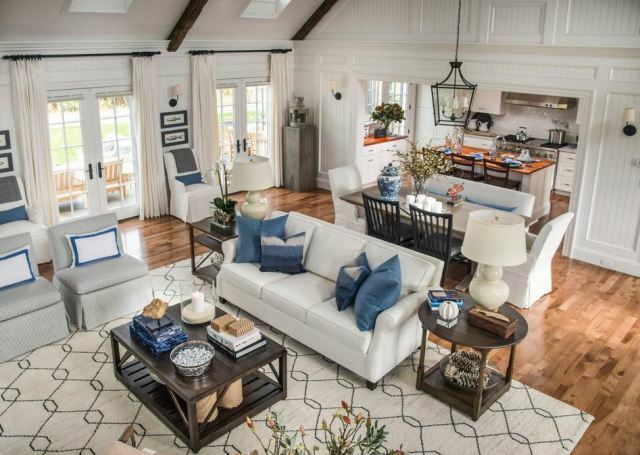 I'll be sharing it with you in the coming days, but speaking of freshening up, did you see my thoughts on HGTV's 2015 Dream Home? I had to watch it several times to absorb everything. Since I last hosted The Scoop, I also shared the new backsplash in our kitchen. 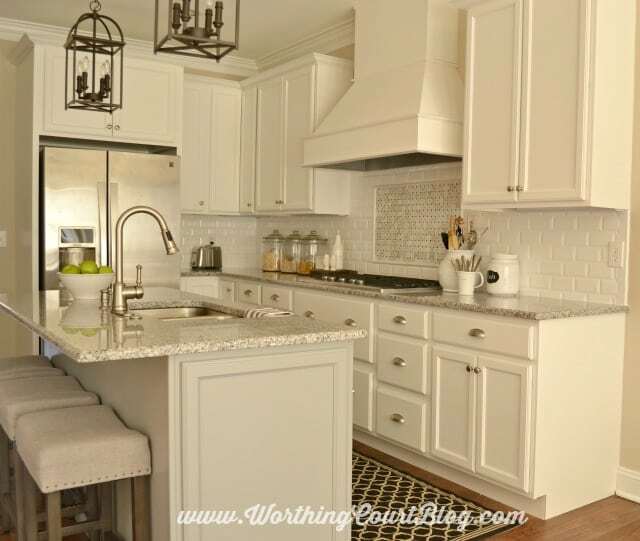 We've been remodeling at our new-to-us house, but the kitchen is almost finished! Let's take a look at a few features from last week's party. 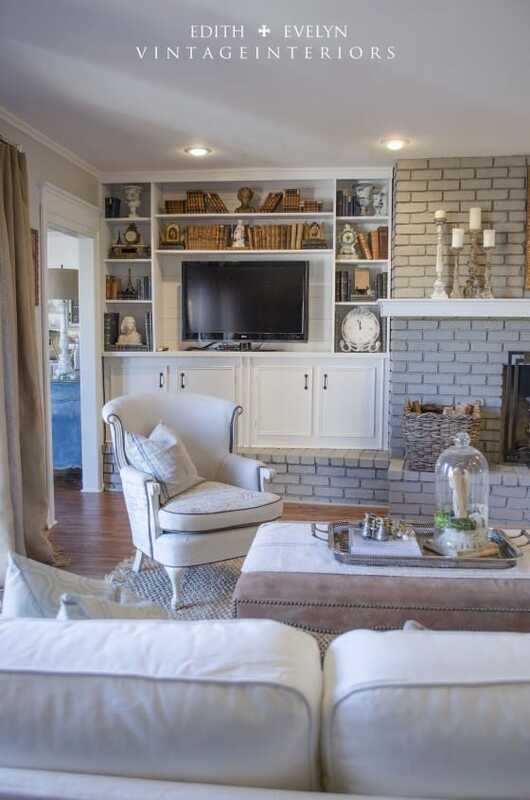 Head over to Edith & Evelyn Vintage Interiors to check out Cindy's amazing den transformation. Oh, dear! 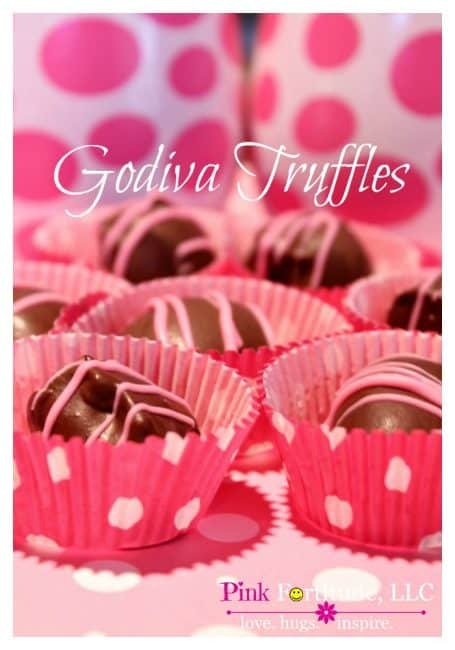 Godiva Chocolate Truffles? 'Nuff said! Get Holly's recipe at The Coconut Head's Survival Guide. And then send some to me after you make them! 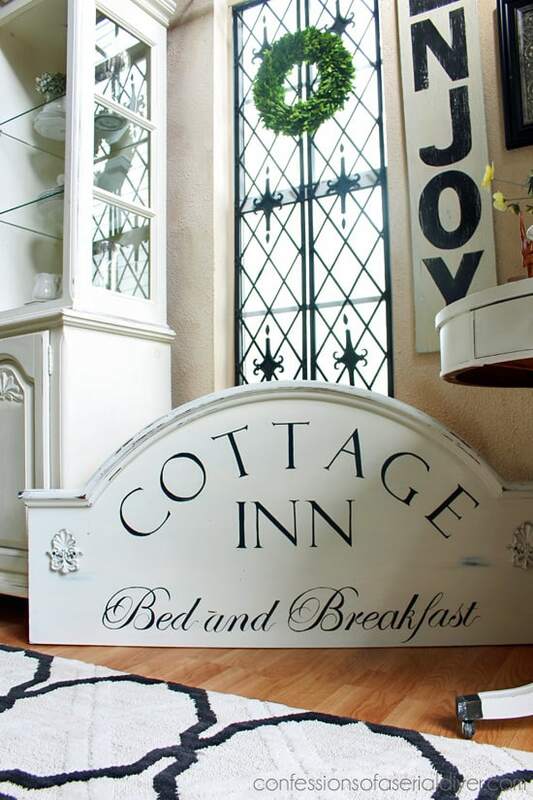 Look what Christy, from Confessions Of A Serial DIY'er, made from a $3.49 headboard! She shares her easy method for transferring letters, too. Isn't this a beautiful spring wreath? 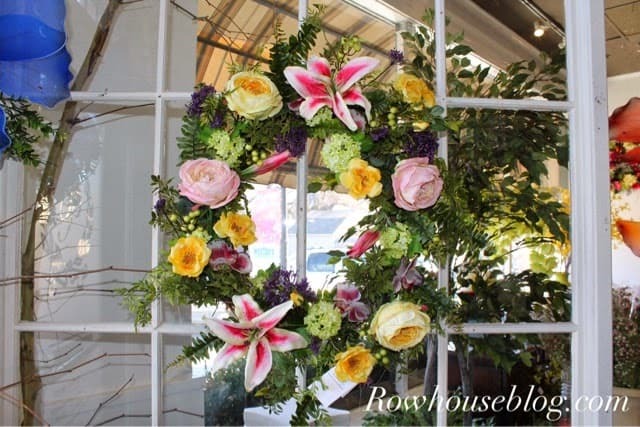 Let Ramon (who is a florist), from Row House Blog, teach you how to make one too with his step-by-step tutorial. 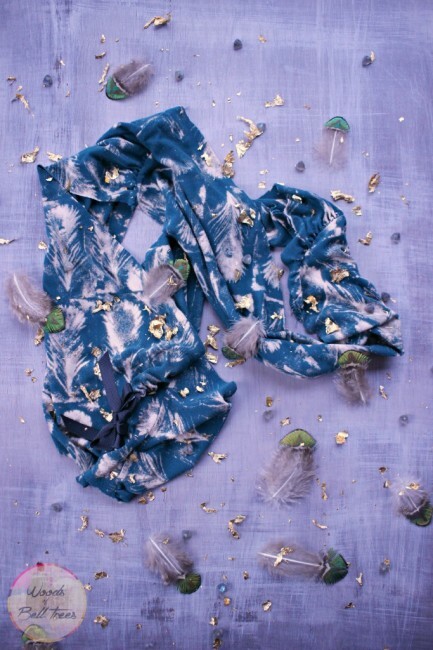 You won't believe what Heather, from Woods Of Bell Trees, made from an old shirt! Okay - now let's see what you've been up to! Daffodils says it is Spring for me. We have been fortunate to have good weather, but could really use that excess snowpack that the NorthEast is looking for somewhere to put it. Thanks for hosting an awesome party. Please stop by Funtastic Friday this week. We would love to have you drop by!